Continuing my series of ten year old photos… This month there’s a few domestic pics thrown into the mix. 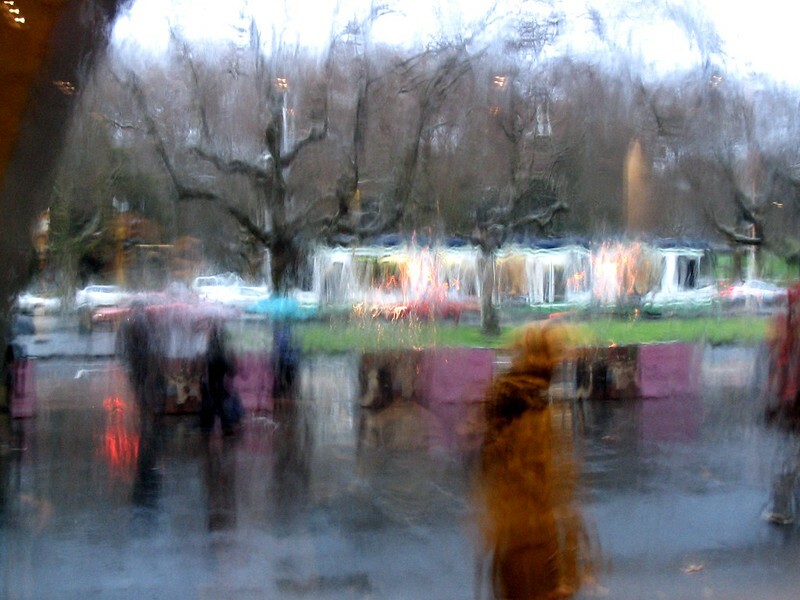 This is the view out onto St Kilda Road from the National Gallery of Victoria, one rainy afternoon. Quite arty, isn’t it. The photo I mean, not just the gallery. 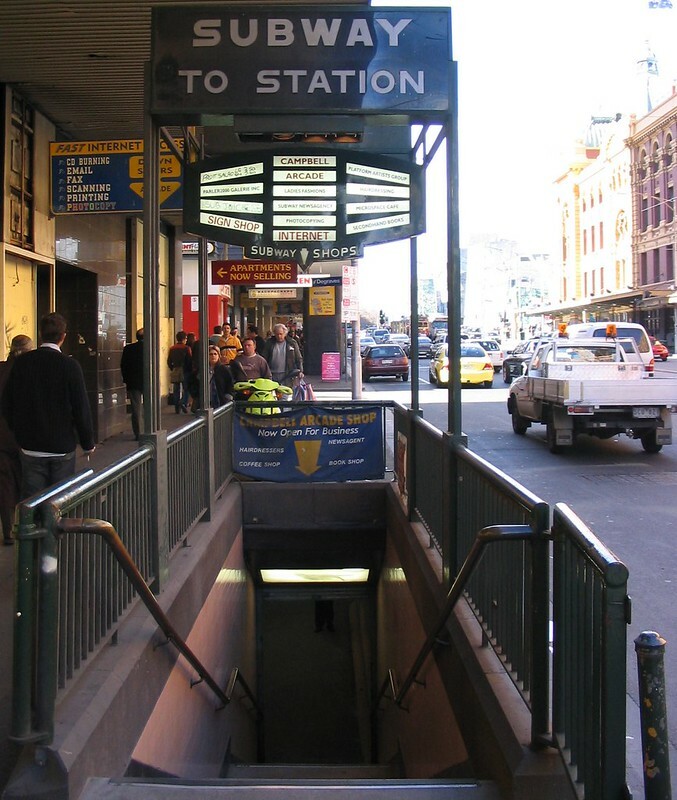 The entrance to the Degraves Street subway aka the Campbell Arcade to Flinders Street station. Most of the shops in the subway have got a bit more hipster since then. The background has changed a bit — no giant tram Superstop back then. 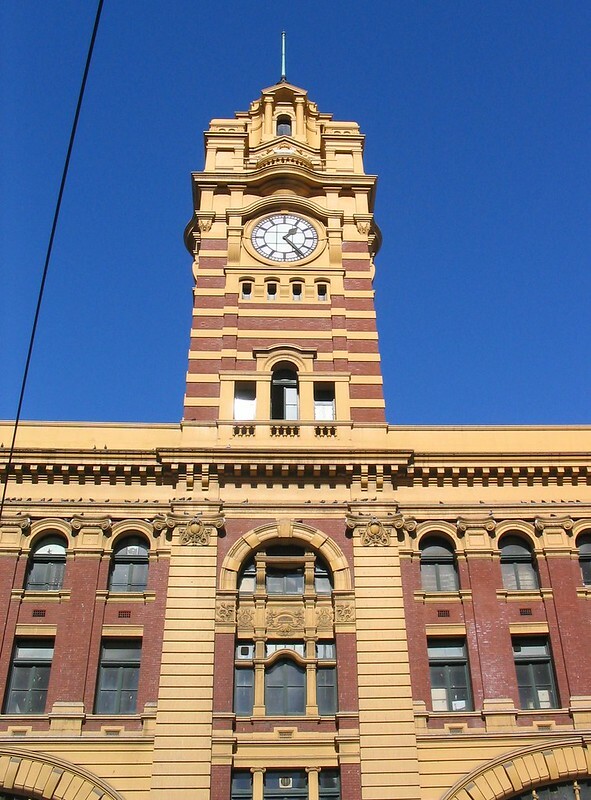 Flinders Street station clock tower opposite Elizabeth Street. Hasn’t changed much. 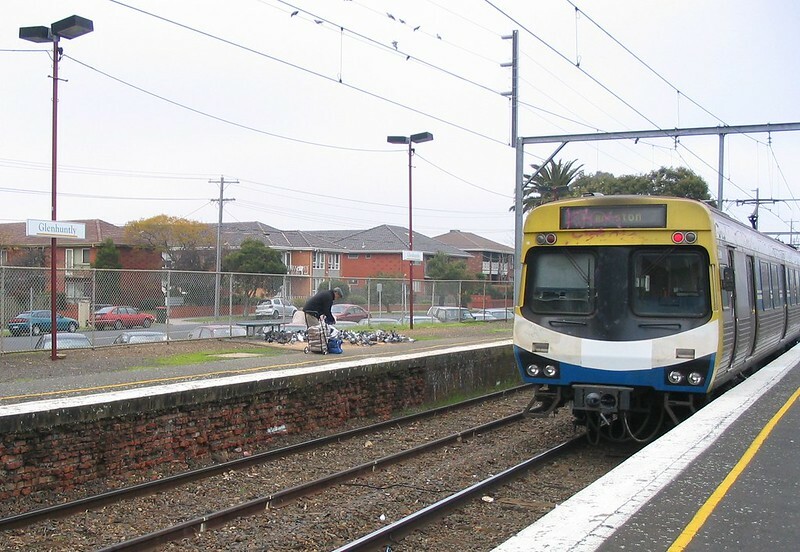 Richmond station: a Siemens train, then in very plain colours, arrives. I think they were still coming into service at this point, and Connex had only just taken over M>Train’s routes, so liveries and so on were probably in limbo. Glenhuntly station’s resident pigeon feeder in action. He used to bring an enormous amount of bird food, which of course led to an enormous amount of bird poo on the platform. Some years later, one of the station hosts subsequently told me he’d passed away. A smiley-faced former M>Train is heading to Frankston. Moving to domestic matters, the rental house we had in Carnegie from 2003-2005 had a big backyard. 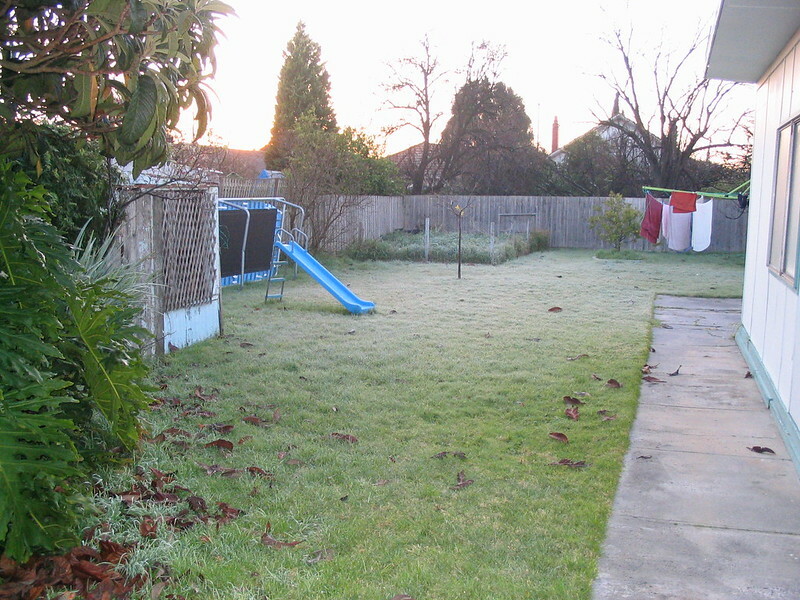 Here it is one winter’s morning, with frost on the grass. The trampoline’s been put on its side to reduce the moisture getting onto it. In the two years we lived there, I never touched the vegie patch. Being a big block, close to Carnegie’s shops and railway station, the site is ripe for redevelopment — a quick Google shows it sold for $805,000 in May 2013. This was the garden shed/car port at Carnegie. 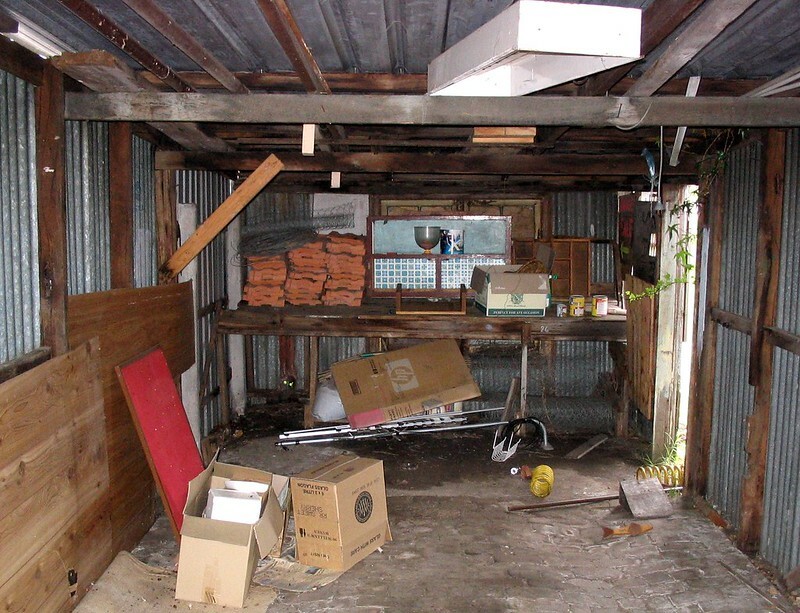 When I moved out, the agent optimistically described it as a lock-up garage — it didn’t lock. It was pretty ramshackle. I never kept the car in it, myself — at the time I had the Magna, which would have been uncomfortably tight. Most of the crap in it wasn’t mine, though I did own the discarded red noticeboard and the TV antenna which I’d bought for the previous flat. 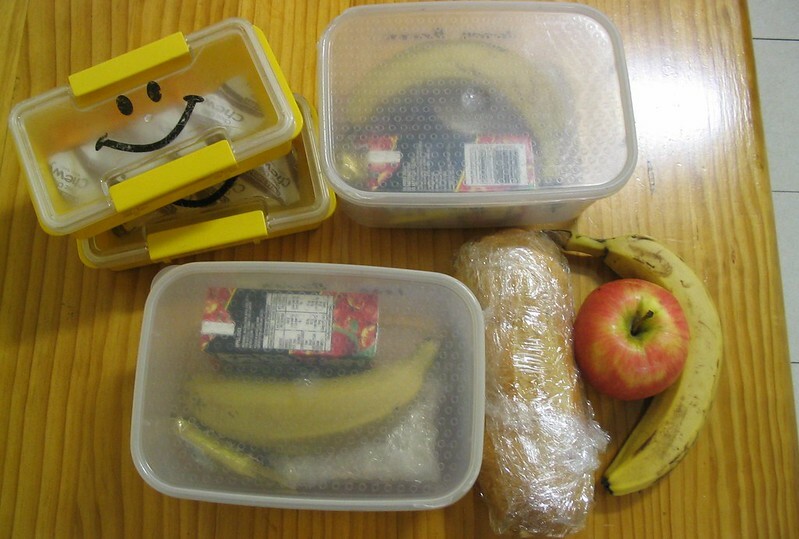 Lunch for myself and the kids, ready to go. The small boxes must have been Play Lunch. Hmm, chocolate muesli bars, not a particularly healthy choice, and I guess I’m to blame for that. Here’s an interesting find. 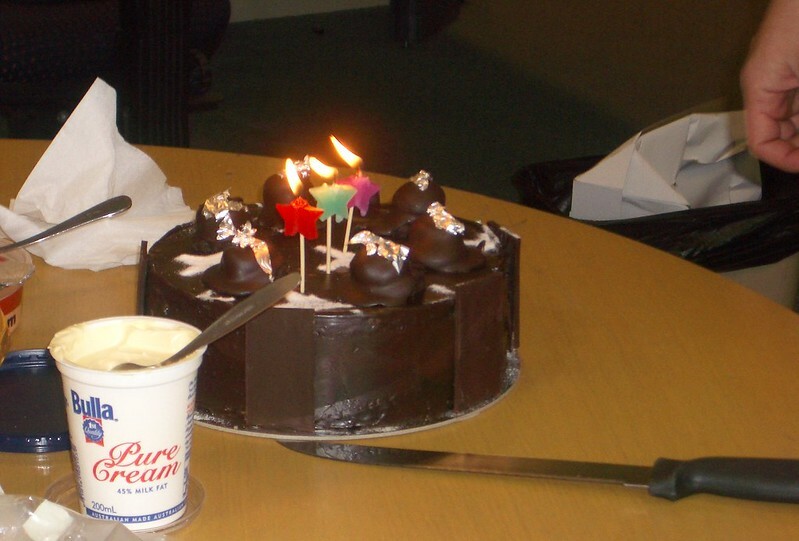 Taken at work (well, at a client site) by then-colleague Linda, we were just about to have cake for my birthday. 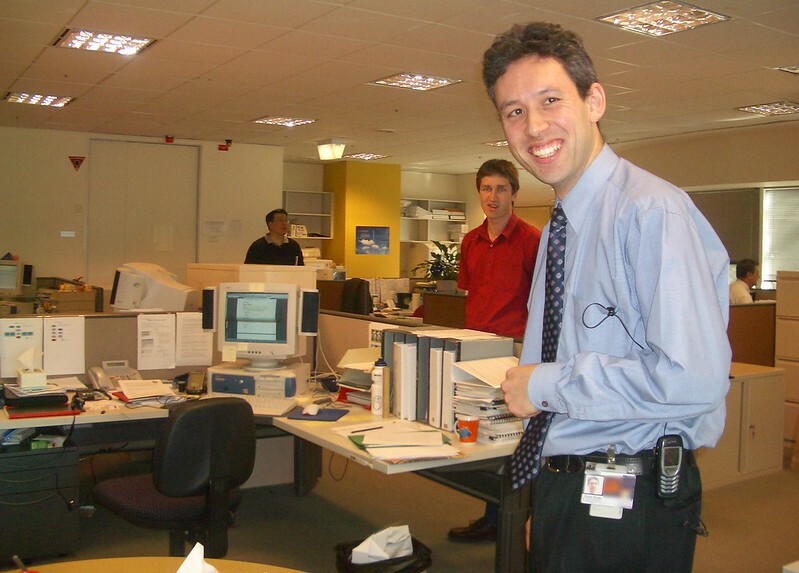 At the time I had a lot less grey hair, wore a tie (stopped in 2011), and obviously wore the phone (a Nokia 6100) and its (wired) hands-free kit, along with an ID card and key hanging from my belt. I think that’s another colleague’s desk/computer in the background, but mine would have been similar (less tidy, probably). Another colleague, Gary, is evidently keen to get into the cake, and on the far right is John, who passed-away in 2007. I reckon if your national gallery photo was a painting, it would be worth a fortune. Good one! Yes I remember those days. I wonder how different the network may have been if National Express remained in place. Could having two operators have resulted in some improvement in services as one operator tries to compete for ‘the better operator label’. The Siemens trains where coming in at the time NX went out. I think the D2 class trams where sort of coming in at that time too. While all of the D1s where in service, and the D2s where pledged to #19 way back then, where diverted to #96 on account of the merger of the two tram franchises at the time of their delivery. Thanks again for the nice reminder of 10 years ago. @Tranzitjim – That was the theory, but in practice there isn’t really any competition. 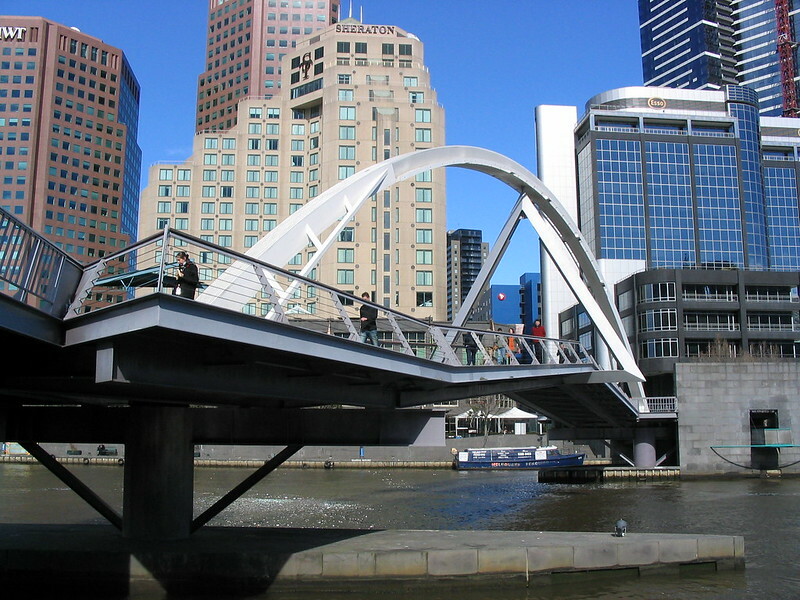 Both operators were serving different regions, just as there isn’t really any competition between Melbourne bus operators as they all have their franchise areas or routes. Finally, the reputation as an operators with a “good label” isn’t worth squat compared to dividends to shareholders… so in answer to your question. No it wouldn’t have resulted in any improvements. It did at the time result in a lot of negative consequences, like the stupid maps only showing half the network. Some of these problems we’re still paying for now: the different choices in trains by each operator means some trains still can’t run on all the network. Who takes a photo like this and doesn’t include the cake?? @Michelle, just for you, the photo of the cake has been added!